If you are seeking a corporate Meditation teacher, a private Meditation teacher, or someone to establish an alternative healthcare center that offers Meditation, Yoga and other holistic practices, we have a very experienced professional to meet your needs. We offer corporate and institutional Meditation classes, private Meditation classes and have the experience to establish a division or new alternative practice in NYC (Manhattan, Brooklyn or Staten Island), New Jersey and upstate New York. Dan Globus, the Director of The Compassion Center, is available to provide meditation classes as well as establish an alternative health care department or practice. Dan has been taught by and practiced a form of Tibetan Buddhist meditation under Venerable Thupten Phuntsok, a Tibetan Buddhist Monk, for the last eight years. He has also been practicing Yogic meditation for almost 40 years. Dan’s Meditations are based upon the style of Meditation called Vipassana. Vipassana makes use of Mindfulness meditation. Many people think that Mindfulness meditation IS meditation. In Dan’s classes, mindfulness is simply one element of meditation. He incorporates breathing techniques, body relaxation techniques, guided imagery and sometimes uses Mantra recitation. Dan is available to teach meditation in corporate and institutional settings Monday thru Friday between the hours of 7am – 5pm and is available for short-term and long-term contract work. Classes can be taught between 1-5 times a week based upon your employees’ needs or the needs of the institution’s patients. Each class is between 45-75 minutes. The exact amount of time is determined in advance based upon the needs and goals of the organization. Each class is comprised of a guided meditation with a body relaxation technique, a breathing technique to bring the person(s) into the meditative state, and guided imagery. If the classes will be 60-75 minutes, the session is typically broken into three parts. The first part deals with relaxing the body and inducing the initial meditative state, then there is a discussion for approximately 15 minutes (to discuss issues that the person(s) are facing and how meditation can be used to address the issues), and then there is the final meditation where we work on how to remove any negative thoughts, emotions and practices that are negatively affecting the person(s). Dan has successfully started from scratch three corporations during the last 28 years. He is very familiar with all the steps necessary to form a new business entity. This experience has provided the knowledge necessary to allow him to create a division of an organization or a standalone practice that offers meditation classes as well as other alternative health practices including Yoga, Reiki, Reflexology, Acupuncture and more. 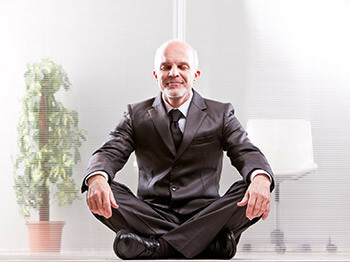 If you are seeking a corporate meditation teacher, click here for more details. If you are interested in private meditation classes, please click here for more details.